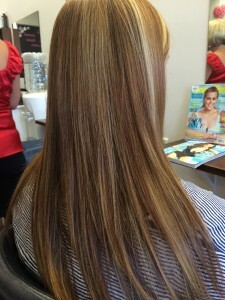 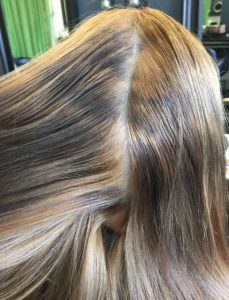 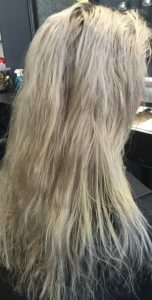 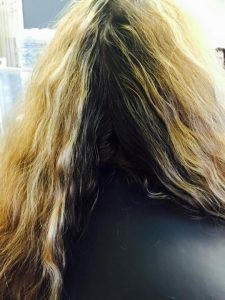 Brown with old foils to full-head blond with Olaplaex . 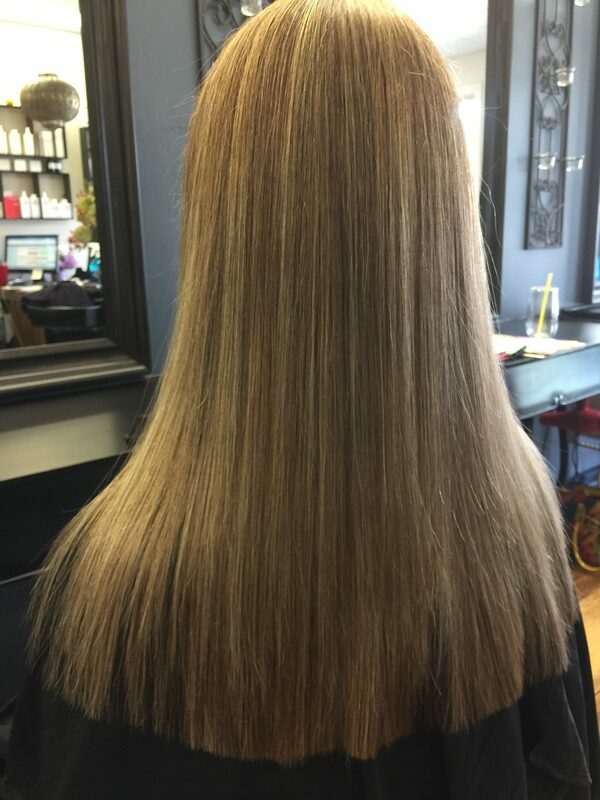 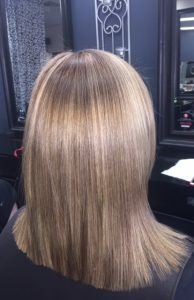 Half head of foils with varied lengths of natural regrowth to full head of foils of chocolate and blonde. 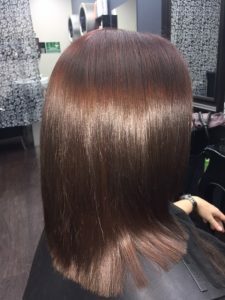 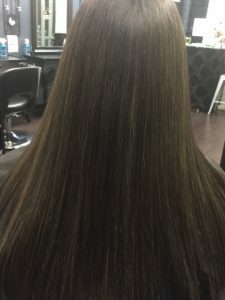 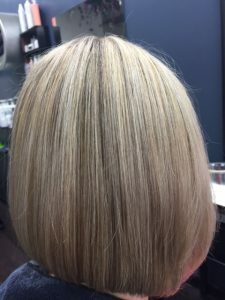 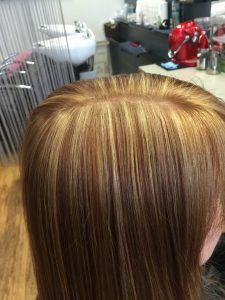 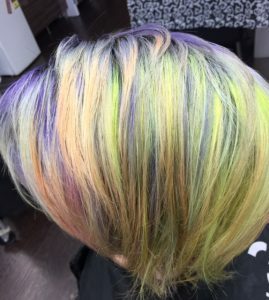 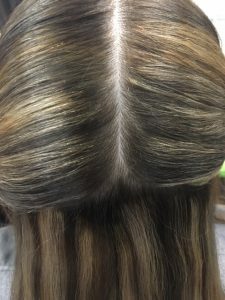 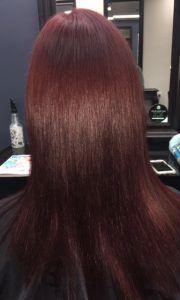 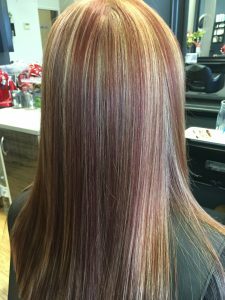 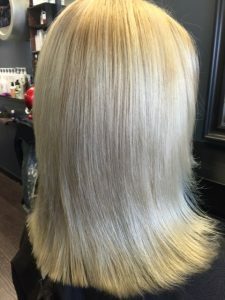 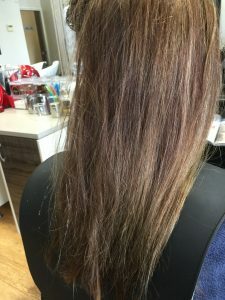 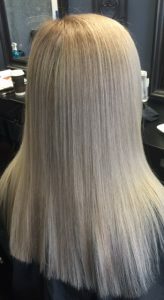 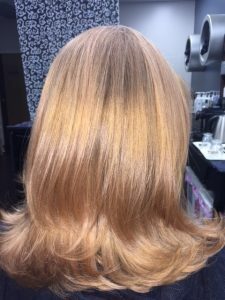 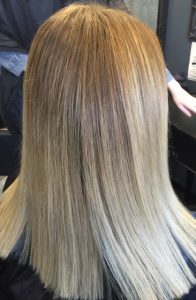 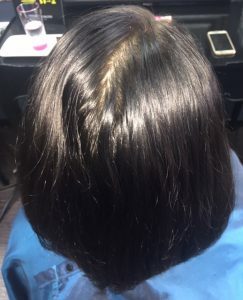 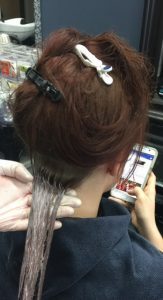 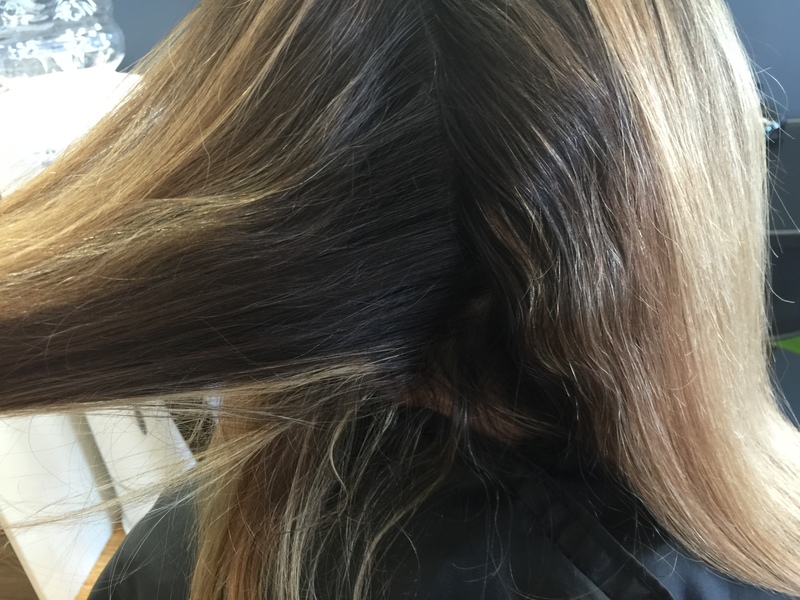 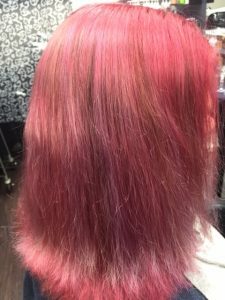 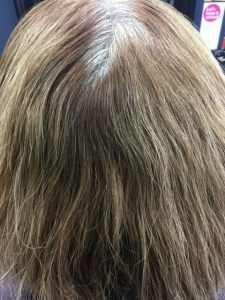 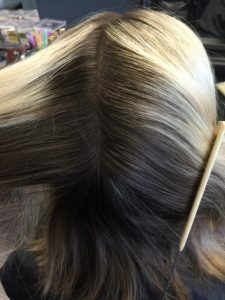 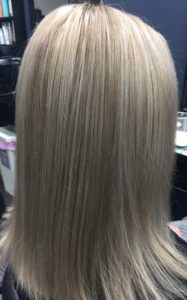 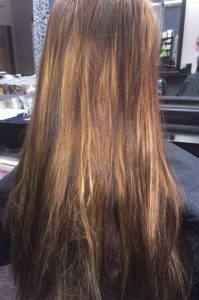 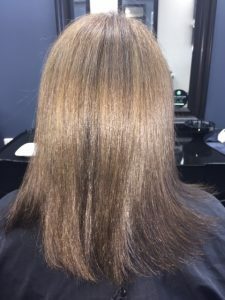 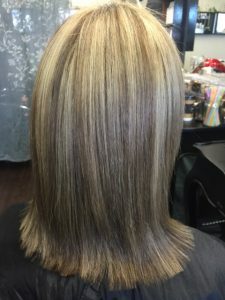 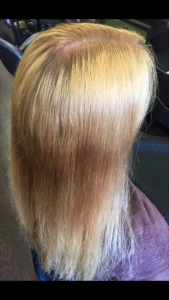 Highlight tint with foil to full head powder-lightener with Olaplaex. 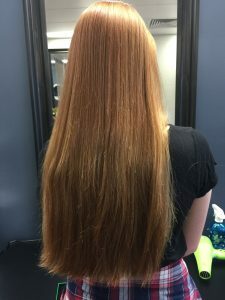 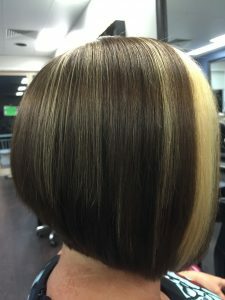 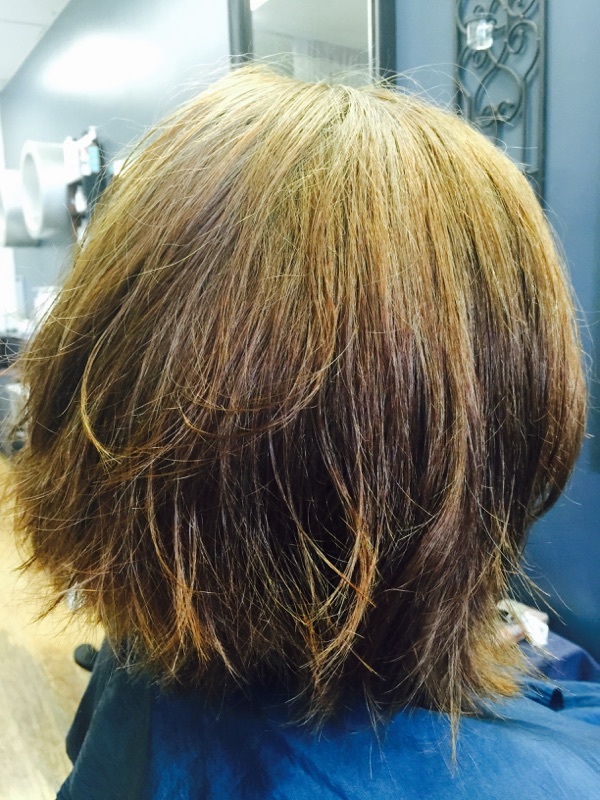 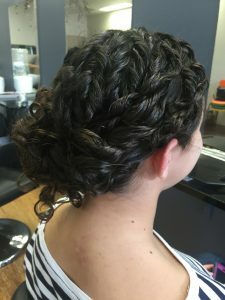 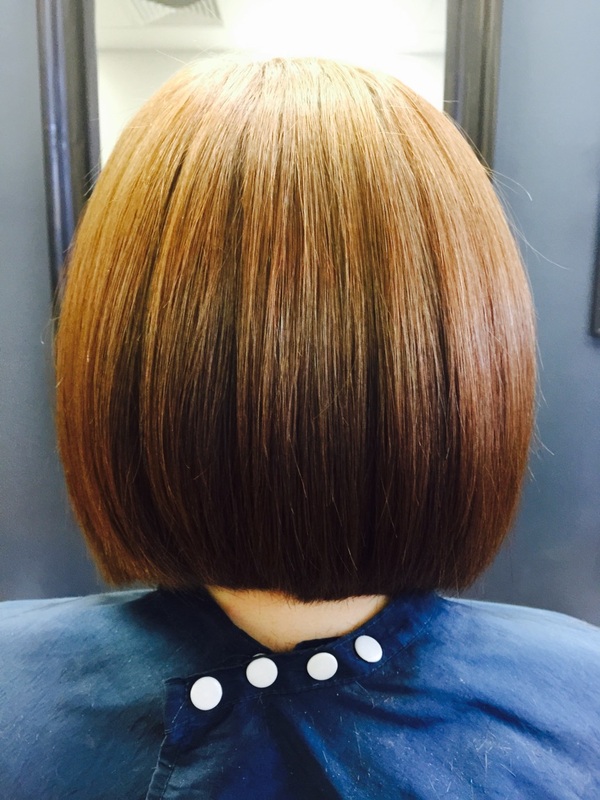 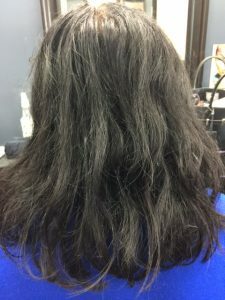 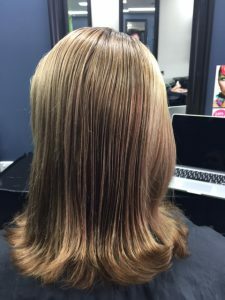 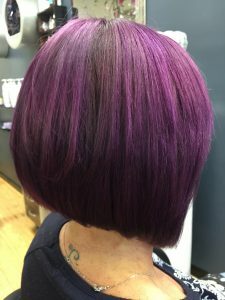 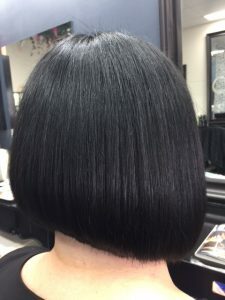 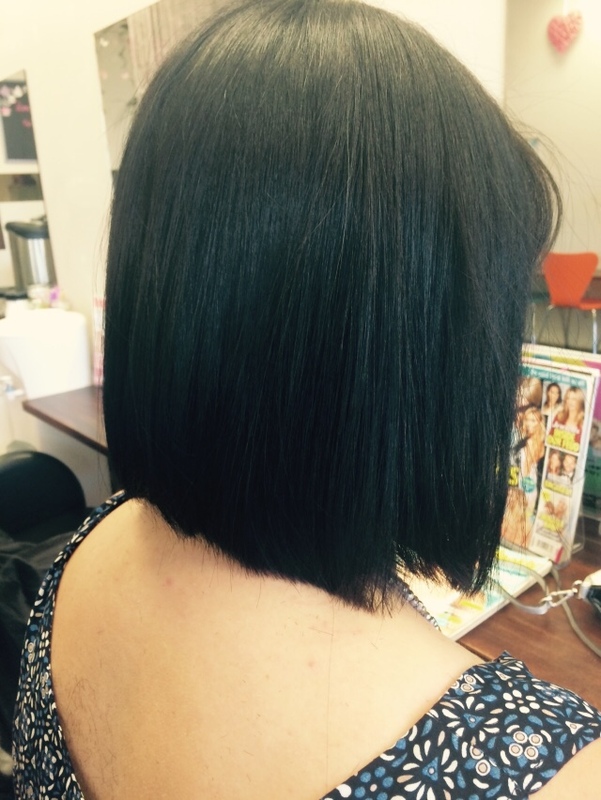 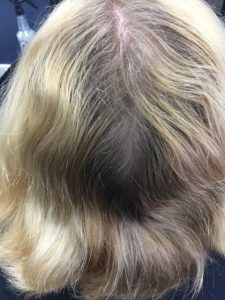 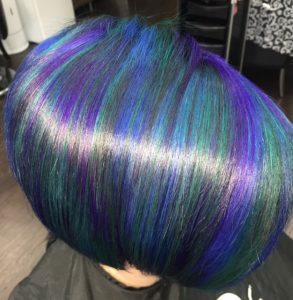 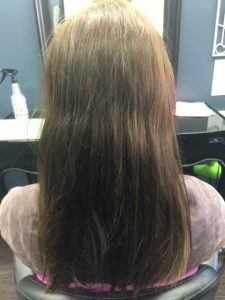 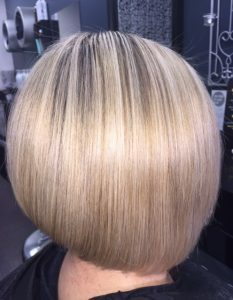 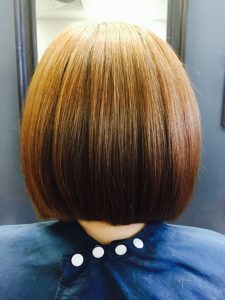 Graduated concave bob from one length bob. 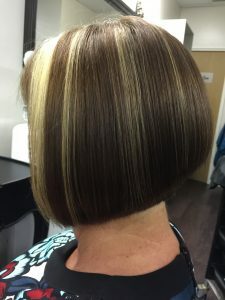 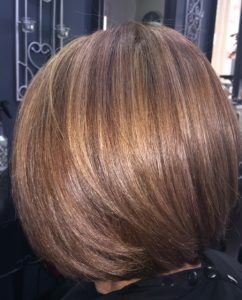 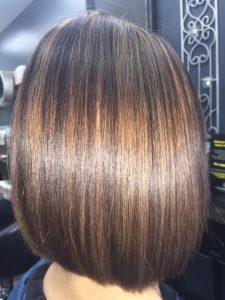 From plain brown long bob to concave and bold. 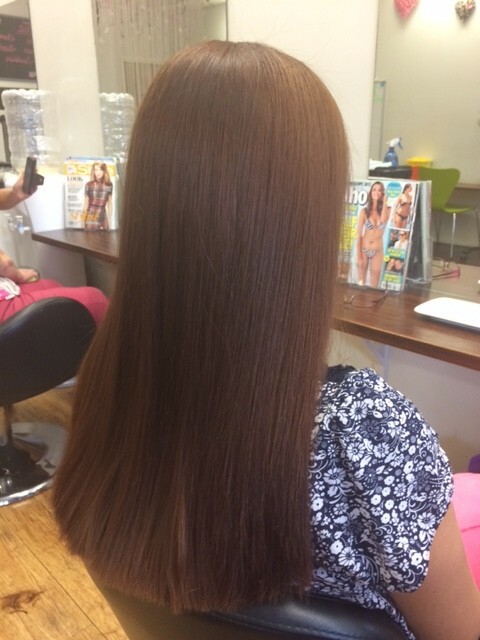 From Naturally red/ auburn hair. 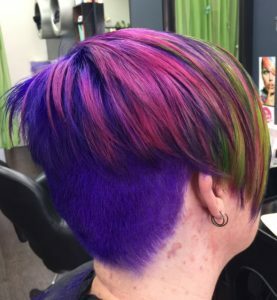 Time to change up for Uni. 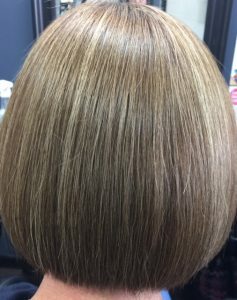 Multi textured foils and slices through the (occipital) mid section of the head. 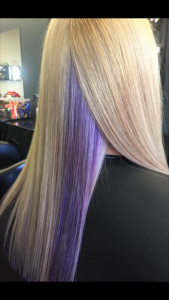 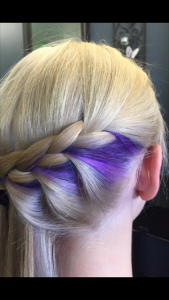 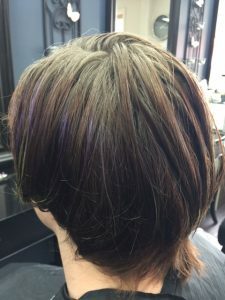 From blonde to purple……… Just for a week (semi permanent) with re-style. 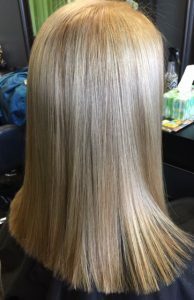 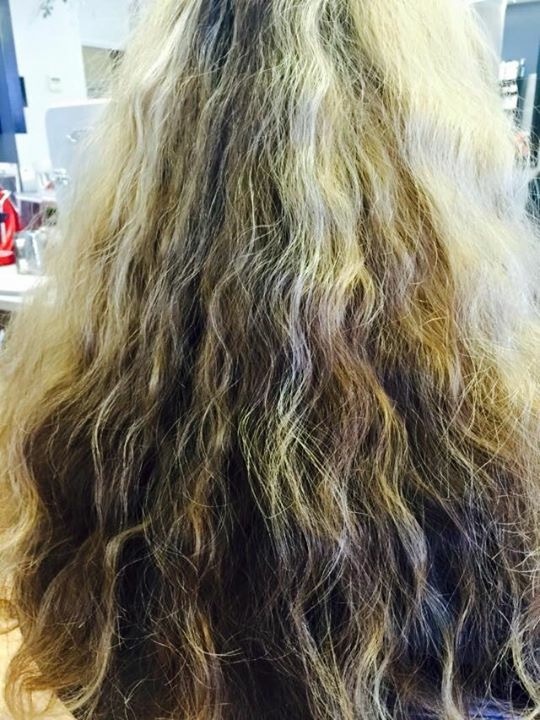 Half head of foils with natural regrowth in naturally wavy fine hair, yes fine hair! 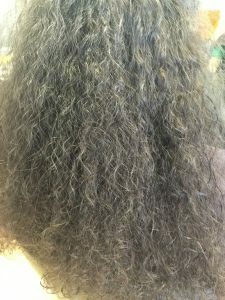 a lot of it. 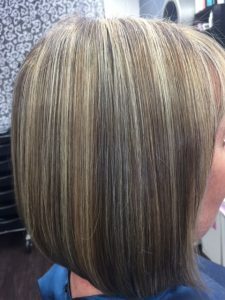 Natural regrowth with multi toned foils, redone a full head of foils and freshened up. 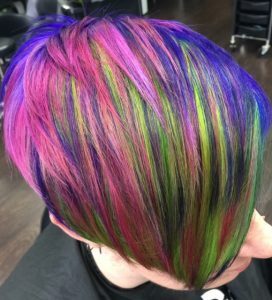 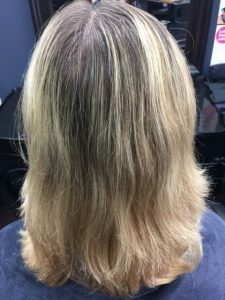 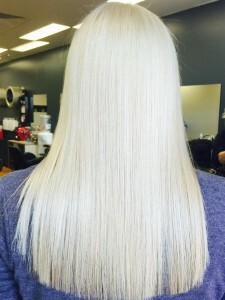 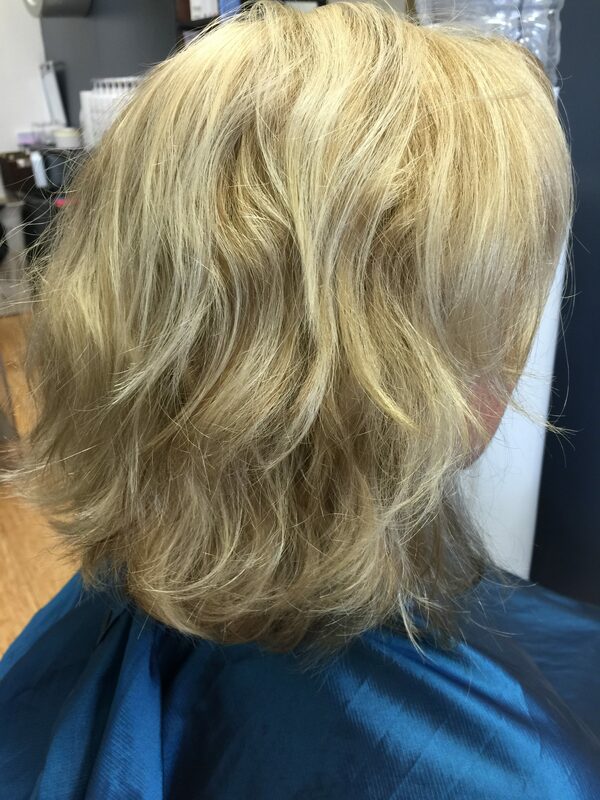 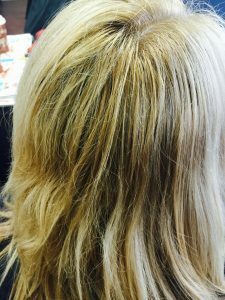 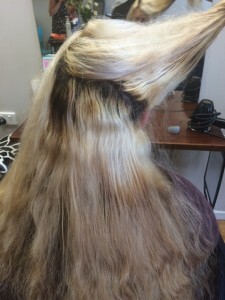 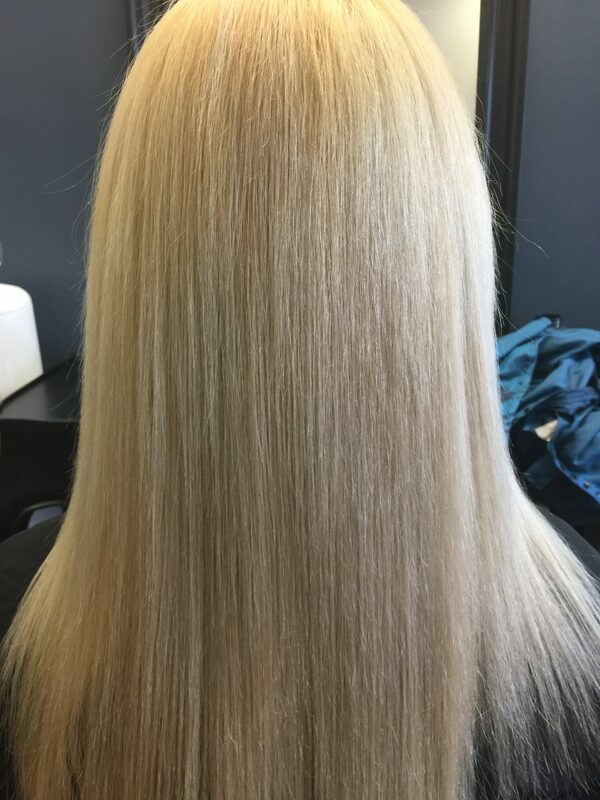 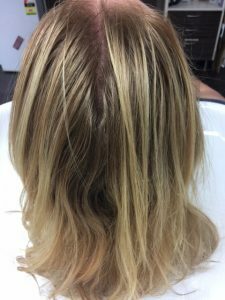 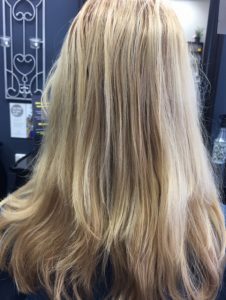 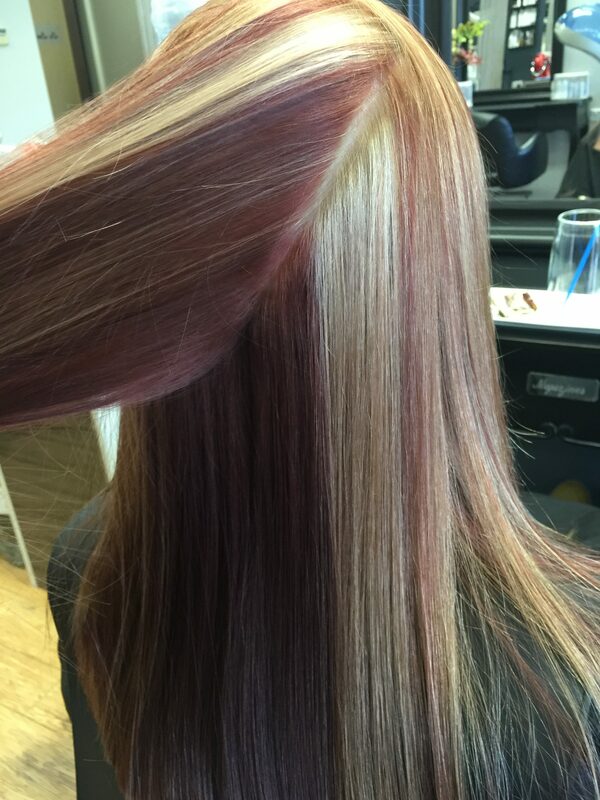 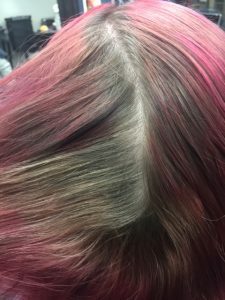 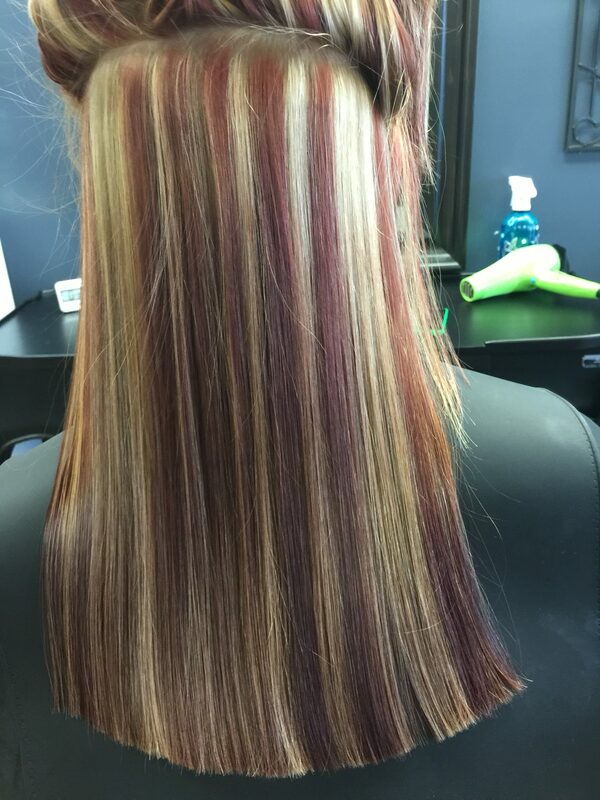 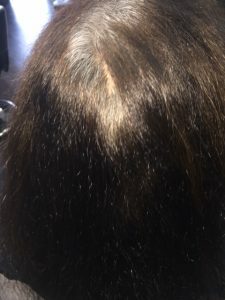 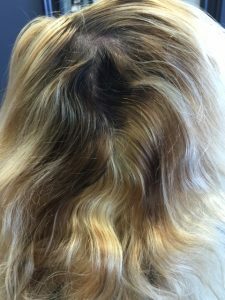 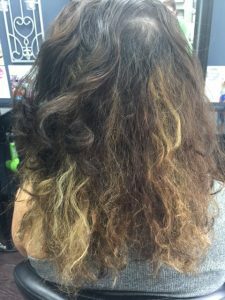 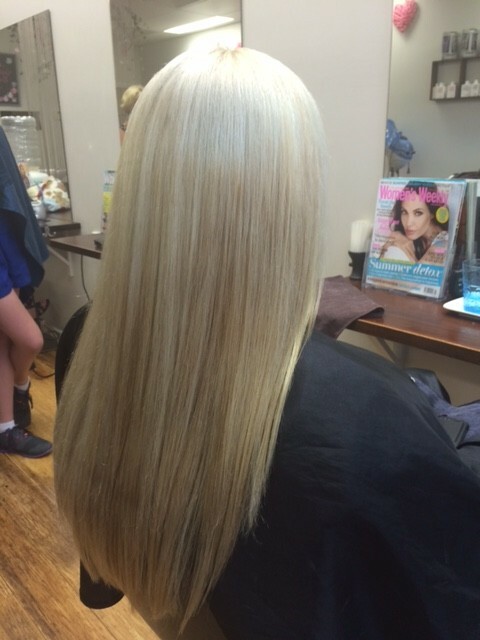 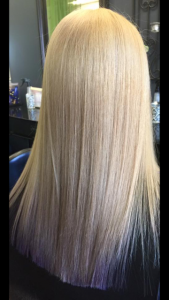 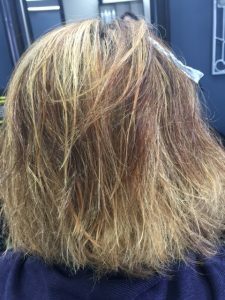 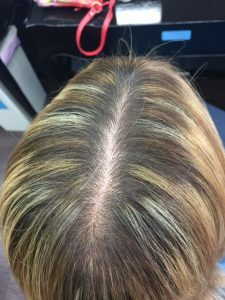 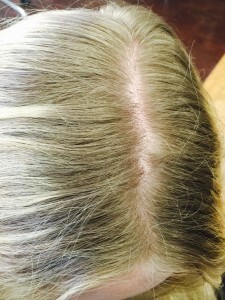 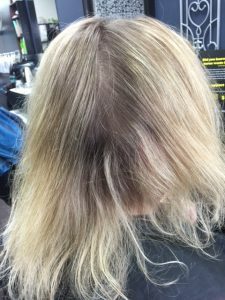 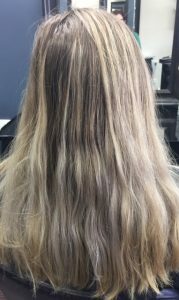 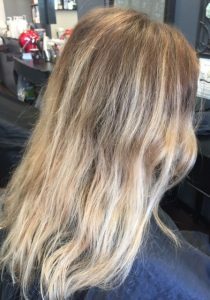 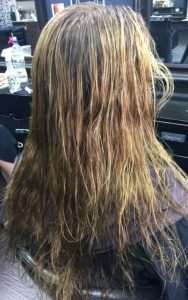 Outgrown regrowth with multi tones, to clear bright blonde. 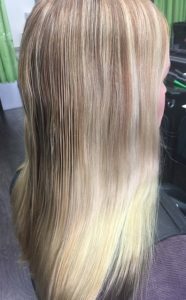 Faded,washed out to rich and glossy. 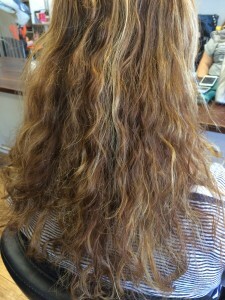 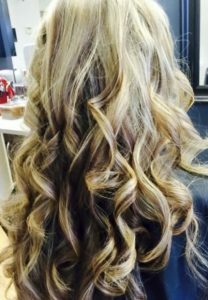 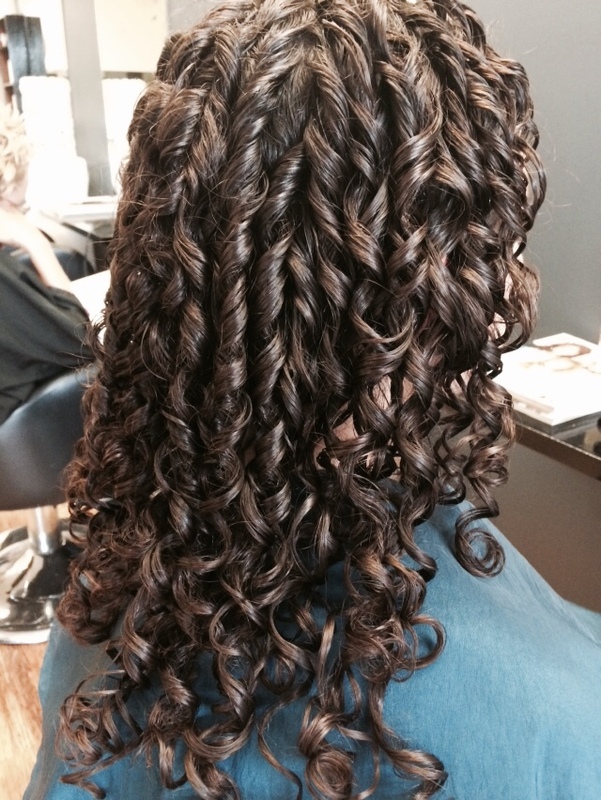 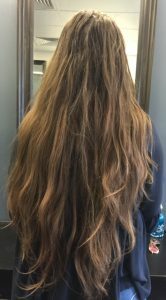 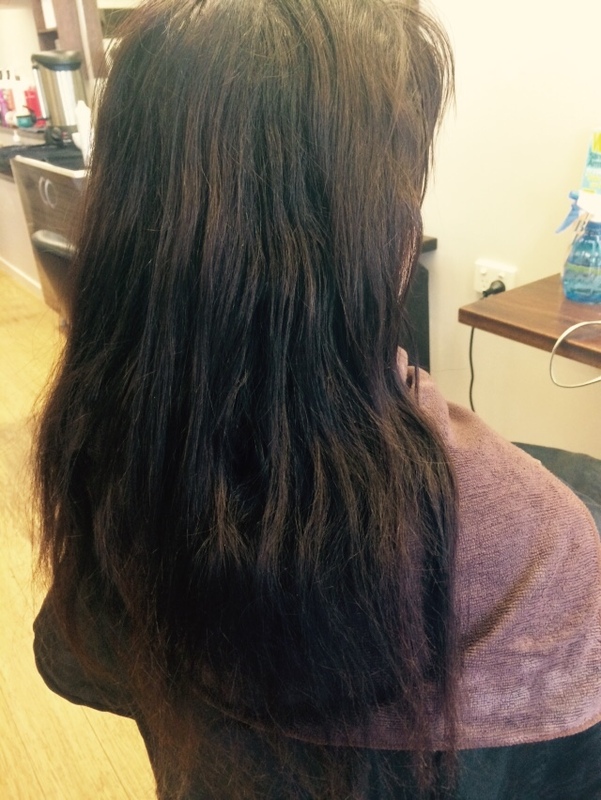 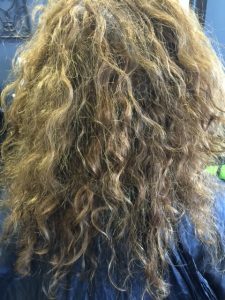 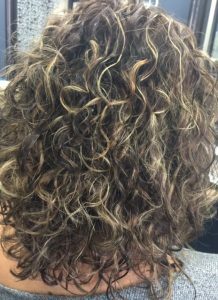 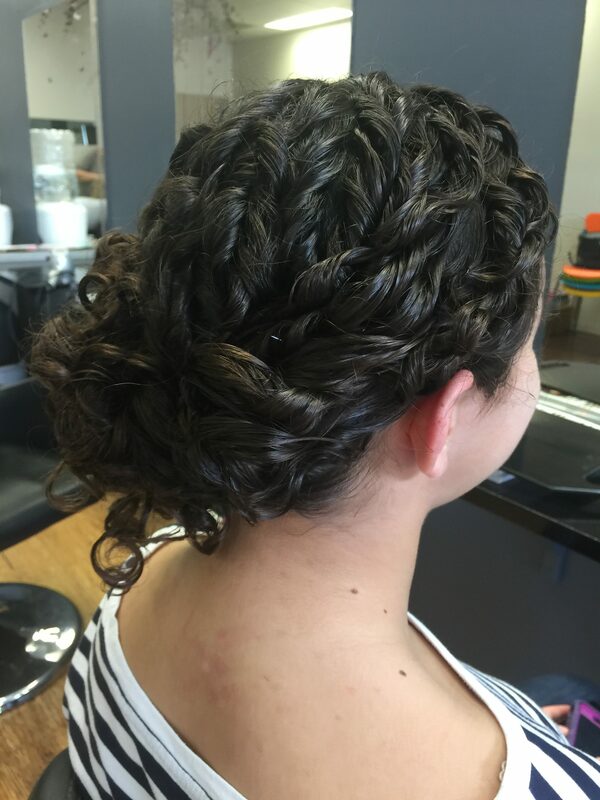 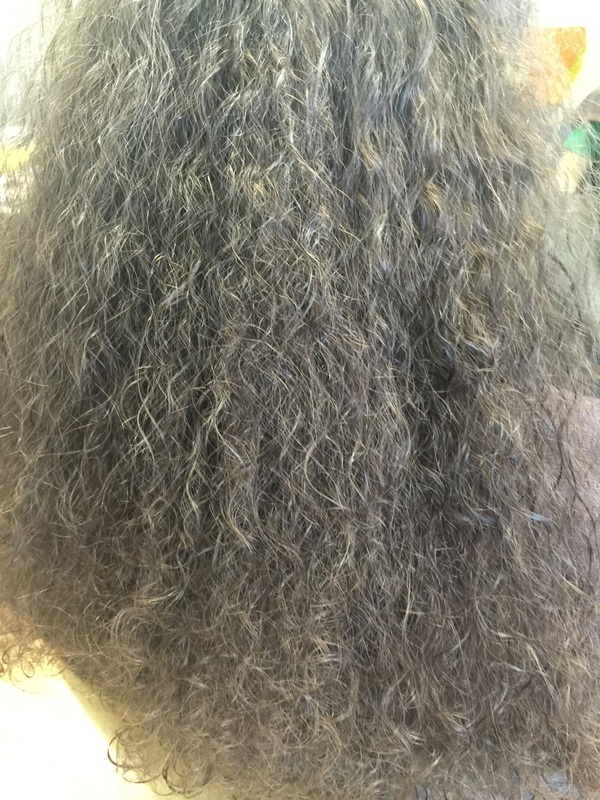 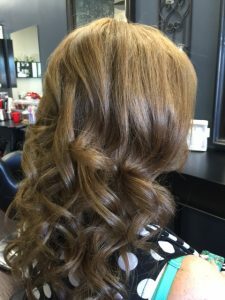 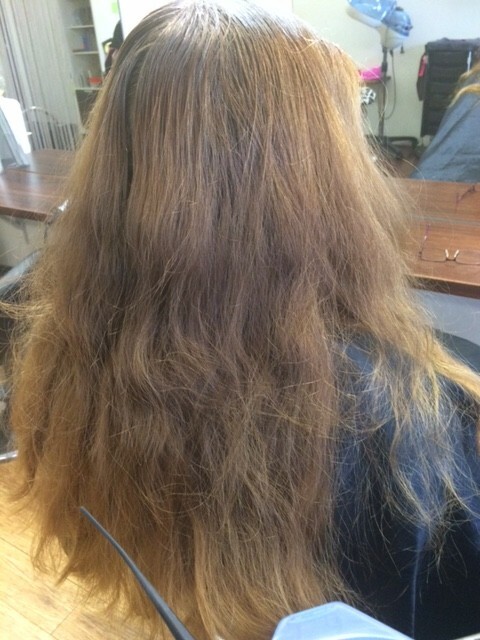 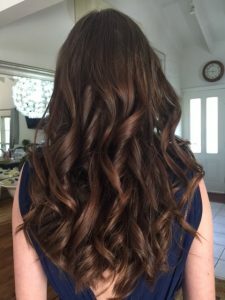 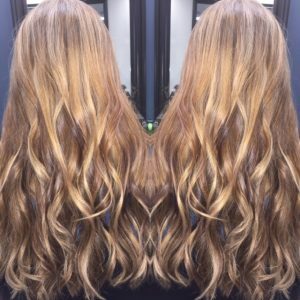 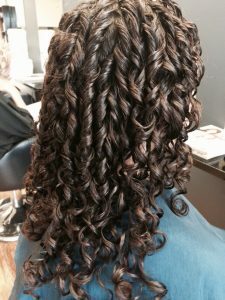 Natural waves due for a refresh, sleek and enriched. 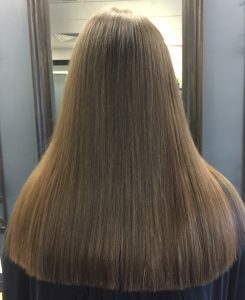 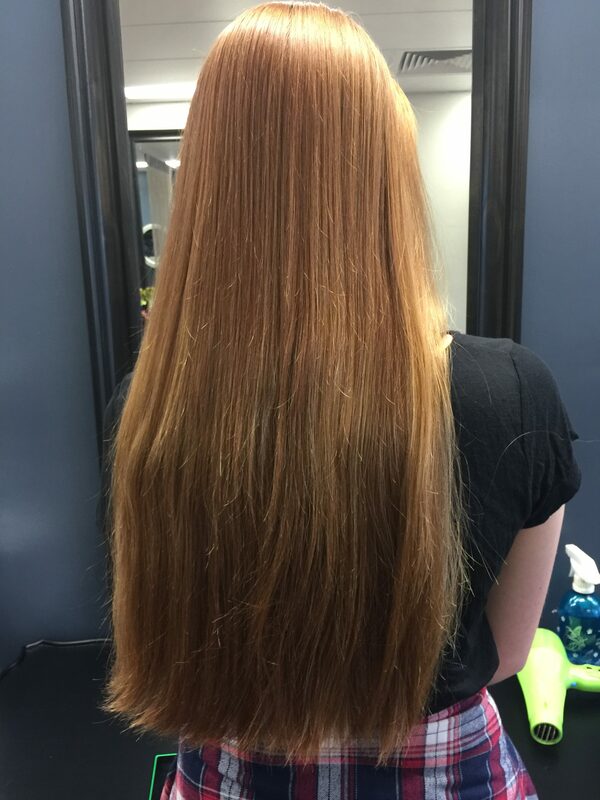 Thick,dry and course to smooth and sleek. 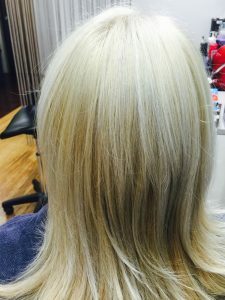 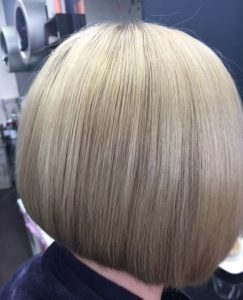 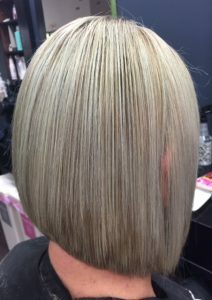 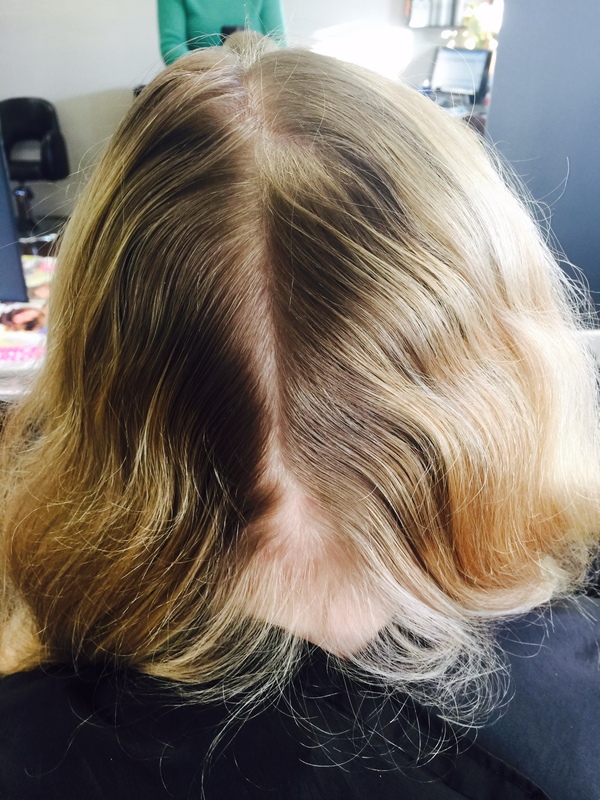 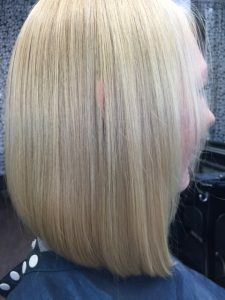 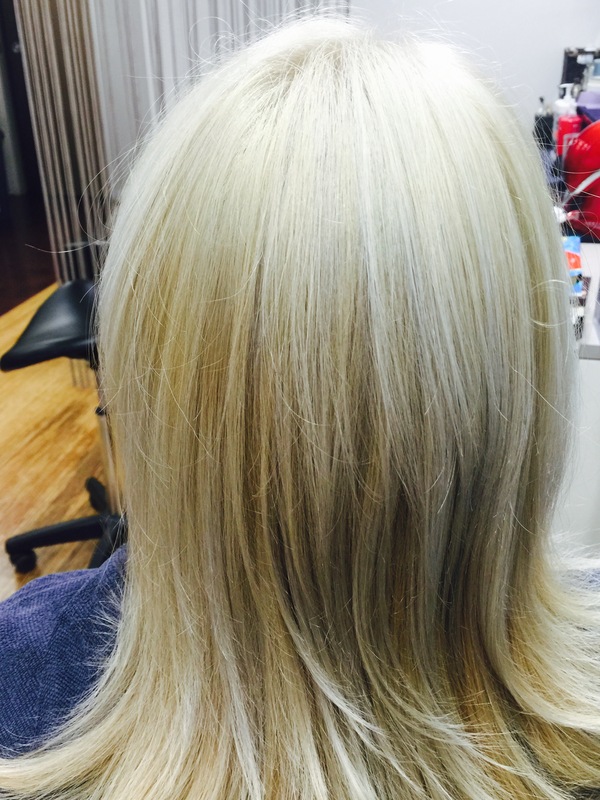 Natural regrowth with old colour to renewed fresh blonde. 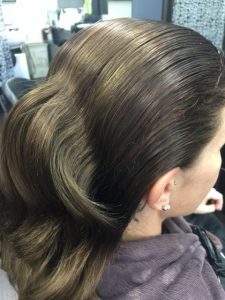 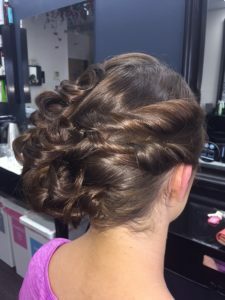 One head of hair,4 different looks- natural, separated curls then up and last of all the straight high ponytail. 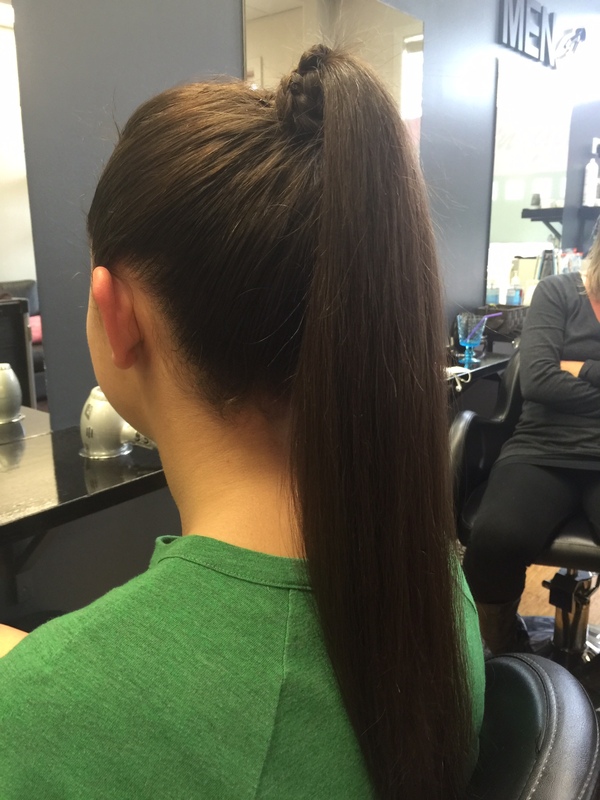 (formal trial) sleek pony was chosen on the day.